On August 4th 2010, while pregnant with Rachel, I went for my ultrasound... the exam I used to think was mostly to find out if it was a boy or girl. Would we need blue or pink? That's what it said. I had never heard of it before. But, almost 2 years later, I'm not only familiar with the word, but what it means for a child of mine. I have spent hours, days and even weeks of time telling people about Rachel and the condition that took her from us. I have poured my heart out publicly if only to help even just one person choose life for their baby after receiving a fatal prenatal diagnosis. I'm humbled to say that I have seen it happen. I'm sad to say I've seen the opposite too. After getting Rachel's diagnosis, I shared with people that she was expected to die, but kept her diagnosis private for weeks. I was so afraid of what people would think of her. I didn't want people to give up on her or picture the baby inside me like a monster. I remember seeing photos of other anencephalic babies while I was pregnant and coming across ones where the mothers were holding them without their hats on. I was stunned. I asked Matt "why would they do that to themselves? Why wouldn't they just cover up their heads?" And then I had Rachel. Matt and Kim (our nurse) were trying to keep her hat in place and I said "Leave it alone, I don't care". 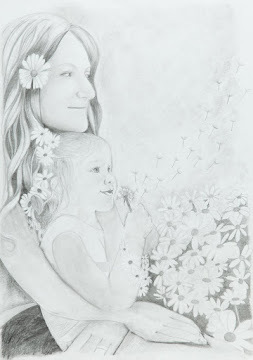 A mother's love goes so much deeper than outward appearances. I knew that, but I guess somehow thought I would not be 'that' good at loving unconditionally. That I wouldn't be able to see past what was missing. I was wrong. I couldn't ignore her 'defect' and I didn't. I loved her in spite of it. I refused to let it define her. I refused to focus on what I was losing - and instead threw her a birthday party, cake and all... after she was already gone to be with Jesus. What better thing to celebrate, really. But that doesn't change that my heart was broken. Seeing my baby in that condition was traumatic. My life will never be the same. On August 6, 2011 we held our first Baby Rachel's Legacy 5K. We donated over $9,200 to Options for Women to help start a perinatal hospice program and more.... I talked about Rachel, how much I love her and how many blessings she has brought. But I still avoided her anencephaly. I feel like it's time to stop avoiding. To stop being scared of it and what others will think of her. 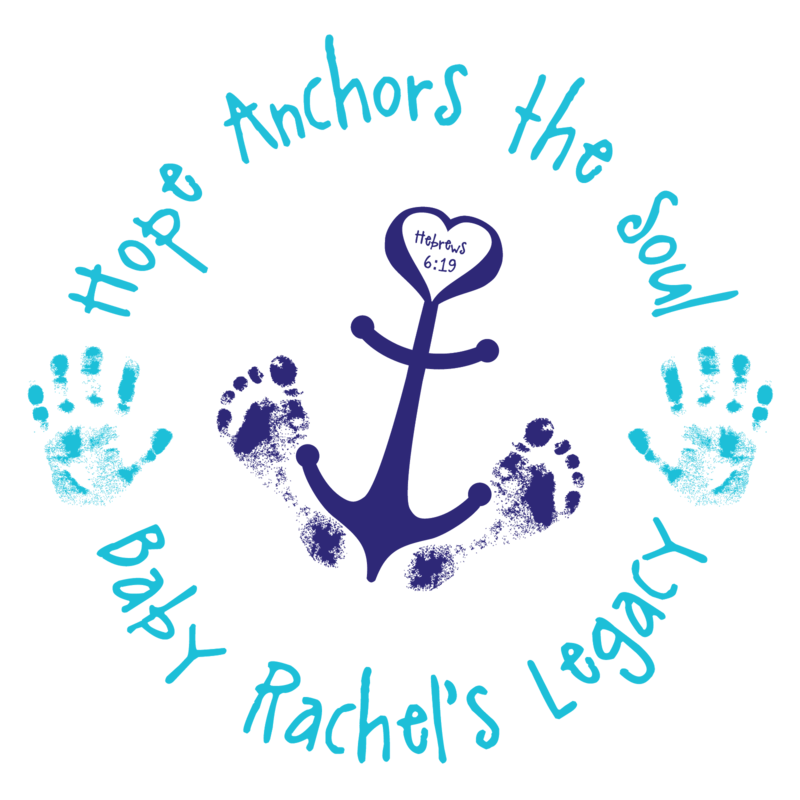 On August 4 of this year, just two weeks away, we will have our second Baby Rachel's Legacy 5K (walk or run - to participate or donate, see the buttons on the right side of my blog) I will once again tell people about Rachel, her life, her death and the blessings she brought us. I will smile and cry, like I have every single day since I got to hold that sweet baby girl in my arms.... but this year, I'm going to share about her anencephaly. I call it an "Anencephaly Awareness" race because I want people to become familiar with the condition so that if someone got that diagnosis, they would know there was someone else who had been there and survived with Hope. The doctors tend to assume anyone who is carrying a baby with anencephaly would have no desire to carry to term and give their baby a chance to live -or to give God control over how long he or she will live for. But in order to really share about her anencepahly, I need to tell you the truth about it. There was nothing easy about this journey. I actually never knew life could be so hard and I've been through A LOT in my life. Waiting to have her was torture. Every move she made, I felt like I should be happy about and at the same time it only reminded me she was going to die. It was the most complicated thing I have ever experienced. I was guilt stricken and criticized every time I felt consumed by her impending death. Giving birth to her (I chose to have an elective c-section to raise her chances of being born alive), not knowing if she would be dead or alive and how long she would live, was the scariest thing I have ever done. Seeing her without the top of her head and finding out what a brain stem looks like was numbing to my soul and only survived by God's grace alone. Watching my kids hold their dead sister and having to let the funeral home take her away have left permanent visions as scars on my heart. Leaving that hospital with only flowers and a wound in my womb to prove she existed was the single worst heartbreak I have ever felt. It took a lot of pills to even get me in the wheelchair to get me out that door. The anxiety was so thick I couldn't move into reality without being medicated. We opened the trunk to pack her memory box for the ride home and her empty carseat greeted my eyes. That will be a vision that brings tears to my eyes for the rest of my life. Walking away from her tiny casket at the cemetery a few days later was nearly impossible - and I never knew I would ever have to fight a desire to go dig up a grave... but that night as I sat in my livingroom with milk waiting for a baby who would never nurse and knowing she was in the cold ground, I wanted nothing more in the world. Since that day I have struggled with my pain, fears, disappointment and lonliness. I have dealt with tons of criticism and judgment. I have cried rivers of tears, fought my anger, and been beaten down over and over - by people I don't know, people I love, people I thought loved me - and even myself. But let me tell you the other side of anencepahly. Until Rachel, I was surrounded by people who called themselves my friends. They quickly disappeared and my life has been blessed with real friends. The couple of real friendships I had, have become deeper. I have met hundreds of women on line who know this pain... because of them, I have been given the blessing of comforting with the comfort I have received as we have helped each other through hard times. And I do it better than I ever knew I could - because God Himself does it thru me. But I've also experienced love like I never had before... both from God and His people. I never knew I was a 'writer'. This journey has revealed a God-given gift in me. My faith was proven genuine as I clung to God and His promises through the hardest time in my life when I could have chosen to blame Him and run away... Seeing how He pursued me and held me, even when I failed, grew my faith. My kids have learned what I mean when I tell them I would do anything for them. I love them deeper, hold them tighter, and appreciated them more than ever. I have a longing for heaven like never before and have had to take a good, hard look at what I believe about life, death and heaven - and why. My life is richer, more meaningful. I have felt a pain I never knew existed because I have also felt a love I didn't know existed. And both have lasted for much longer than I expected. I will never get over losing Rachel. I will never move past her or beyond her. My life will always include my girl. And she had anencepahly. Last week at dinner, I asked the kids if they knew what anencephaly was. It had dawned on me that I never really explained it to them either. They said yeah, it's what Rachel had. I asked, but what is it? And they couldn't answer. I told them and showed them the diagram we have and told them I could show them Rachel without her hat on if they wanted. Isaiah wanted to know if we'd have to dig her up to see - and I told him we had a photo from the hospital. Well, for 2 days Isaiah hounded me, even asking first thing the next day when he stood at my bedside in his morning whisper. I finally showed him and he said "She looks yucky." I held back my tears cause I didn't want him to feel bad. He had some good questions about why her 'brains were sticking out' and I explained that we all have a brain stem, just hers isn't covered by her scull. (I'll admit it was much bigger than I thought it would be, too) Sam started copying him saying she looked yucky. I finally said "Okay, that's enough, I understand your initial response, but now you need to remember that's my daughter you're talking about and I don't let anyone call you guys yucky, I'm not going to let you call her yucky." Des jumped in and said "Yeah, Isaiah how would YOU like it if you had anencepahly instead of Rachel and we called YOU yucky?!" And then Sam added "That my sister, that my friend!" And all of a sudden, "yucky" turned into something to defend and stand up for. And I totally get that. The next day I overheard Isaiah telling his cousin "Did you know that under Rachel's hat she had a stem?" Caleb responded like he always responds with "I know". And I just smiled knowing that Isaiah was focusing on what she DID have, not what she was missing. Later that day, I brought them swimming and Sam's goggles slipped down on his face. I caught myself smiling again at how the strap was pushing his ears down and they were curved just like Rachel's.... even the defects I was afraid of before she was born have become a precious reminder of who she is to me. People will say things to make me feel better like "This was God's plan" - and I agree that God has all things under control, but I do not believe that God ever desired - or desires - these types of devastating things to happen to us. Sickness and death, pain and sorrow, are a result of sin. God never wanted us to have to endure these things. But because of the fall of Adam, we do - and so He promises to be with us through it if we believe in Jesus. And He promises that when this life is over, all who believe in His Son will live forever in heaven with no sickness or death, no pain or sorrow. And so while it's very obvious looking at my girl in this photo that she has been affected by sin, I also experienced first hand what it's like to hold my child as her spirit, which is whole, went to live forever in paradise. And who knows, maybe she wasn't really 'missing' anything... maybe we all just have extra growths on the top of our heads... because I'm certain that she is perfect just the way she is. And I'm proud to be her Mama. This photo was only taken because we participated in the Duke University Anenecphaly Study that required a front and side photo without her hat. I would have never taken it in that moment if not for that purpose, but I'm so glad I have this. Still, this is not a 'real' picture because Lisa Borders edited it for me. In real life, her neck up was dark purple and from her neck down was still pink. I will probably never share those photos because it becomes too difficult to see past her death in those... Looking at these photos though, it still amazes me how much she looks like the rest of us. Mama's mouth, Daddy's nose.... and the Spirit of our Lord. I pray that sharing this does not come across as distasteful. I think before now I always thought of it that way... even when the funeral home left with her, my instructions were "Don't let her hat fall off." I've always felt so deeply that she needed to be protected from judgment. And the thought of anyone looking at my daughter and saying "ewww" is almost too much to handle. If this shocks you, I get it. If you can see her beauty through her defect, thank you. She is so very precious to me - and I might be biased, but I still think she looks every bit as huggable, lovable and cute as my other children do in their hospital photos. I wish I could give her another squeeze and a kiss on her sweet cheeks. I am so busy with her 2nd race that I probably won't be blogging between now and then... I figure this is an appropriate post as I come up on the 2nd anniversary of her diagnosis. I can hardly believe it's been 2 years since I first heard the word 'Anencephaly' - or how much has happened in that time. 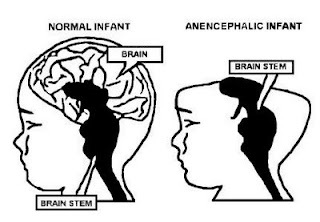 Anencephaly occurs in 1 out of 1000 babies, but only 3 out of 10,000 live births. 95% of people who get this diagnosis terminate their babies - many times just out of fear and because they are misguided as far as their options and what the doctors say 'comes next'. There is no known cause and no cure or treatment. Many studies say that Rachel and her friends cannot see, feel, or hear. They say you see reflexes and nothing more. But I - and many other mothers - will tell you that is just textbook answers, which have no way to record what happens in the soul. My daughter absolutely interacted with me while I carried her. And I believe wholeheartedly that she felt my love. I rest in the truth that today and every day forever, she will feel God's love to the fullest. Anencephaly has rocked my world. It has shaken me to my very core. It has taken away one of my most beloved gifts. I HATE anencephaly. But my daughter.... she was worth every.single.ounce. of heartache. She was a blessing and an honor to care for. She deserved my love just like my other children and she got it, just the same. Rachel Alice Aube can never be replaced - and I would never try. She is beautiful and sweet and absolutely precious in my sight. And my God.... He swooped me up as I walked out of that ultrasound, forgetting all my distance from him in the past, and loved me with a love so undefiled....He carried me with strong arms that refused to let go... He walked with me through the valley of the shadow of death, guiding me with the light of His Word and comfort in His promises and gave me peace in the midst of my storms.... and He is with me in the aftermath, patient and steady... calm and consistent...true and everlasting. Anencephaly has no grip on me. My Lord conquered the grave. Rachel is alive, not dead. And while I sit and wait, cry and smile, hurt and long for her... I don't do it alone and I don't do it without hope. My God is with me - and He is stronger than any scheme of hell, even when I am very weak. Not only so, but we also glory in our sufferings, because we know that suffering produces perseverance; perseverance, character; and character, hope. And hope does not disappoint, because God’s love has been poured out into our hearts through the Holy Spirit, who has been given to us. UPDATE - 6/17/15: It has been a HUGE blessing to my heart to see how much this post is being shared recently!! I looked and saw it's been viewed 118,00 times since I wrote it and was blown away! 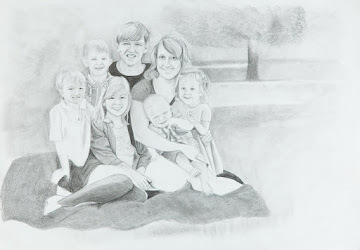 It's like suddenly Rachel's story is becoming new news to so many people and for this Mama's heart, with all the things happening right now in our lives, this is exactly what I needed as I approach the 5th anniversary of when we got her diagnosis. I appreciate all of your kind words more than you know! Thank you for seeing how beautiful my girl is.... I'm so thankful that her legacy is staying ALIVE!! She is gorgeous! thank you for your courage and for sharing her with us. Love you! I love Rachel Alice and she looks really gorgeous! Thank you for sharing this intimate moment! You are such a great and loving Mama! Thank God there are women like you! Praying for you always! Rachel is beautiful, and don't let anyone tell you otherwise! I think the beauty of the Lord shone, and continues to shine, through her. Thank you for sharing her with us! You are a wonderful Mother to all of your children. Will be thinking of you and praying for you as Rachel's race comes up. ahhh i love her little ears and her chin and her perfect lips and those cheeks...i noticed those lips before i even saw the top of her head i dont see anything yucky i really dont she looks liek a well loved baby to me who enjoyed the life she was given and the short time she had. I do have a question and i am not trying to be rude but after this posting and looking at the diagram did she not have her brain form at all? was she able to feel things or have any type of brain function either way it could be a blessing even if she was not able to think just moving your legs thru water thats a great feeling and she got to do that and hearing a heart beat such a comforting sound and she got to do that she got to live a life where she got to experience things and even if she had no real thought process those small things had to be awesome for her. Stacy~She is so beautiful. You are so brave and kind to share this intimate moment with us. Thank you! Praying for you as the race and d-day are approaching. Resting that the peace of the Lord will reign over you! I'm not sure how to write back to people here...but I wanted to answer the question above by Jo. "Anen" means "no" and "Cepahly" means "brain". This was a part I hated to admit in the beginning because our world puts so much emphasis on our brains. In the end I had to reconcile it by thinking of it like any other organ. We don't consider a baby with a bad heart anything less. Unfortunately for me and many others, brains cannot be transplanted. So, no she may not have had what we consider a thought process, but we do not know what souls know, feel, 'think' aside from our brains. Again I think it's hard to grasp what seems so foriegn to us, just like heaven, but that doesn't mean it doesn't exist. I've said before that I felt like me & Rachel spoke soul to soul...and I'm not sure it gets much deeper or richer than that. And in that place, I'm not sure love could be more true. Nothing to gain, but just love to give. I believe her soul felt it. I'm also not totally convinced that normal infants in the womb are advanced enough mentally to really 'think' - I believe we have the same connection with them which is why they are connected to mothers from birth, but have to grow into a bond with dad and siblings, no matter how much they talked to them through their bellies. I appreciate your question and hope I answered it? I really do hope to help people better understand anencphaly... although there are so many things I don't have answers for. But that is my belief about it. Rachel was and is perfect. Thank you for sharing your heart and your daughter. This post will mean so much to so many....especially me. I can't help but cry looking at the picture of Rachel. I'm not crying because I'm sad, these tears are because she is THAT beautiful. I'm not really sure what I thought she would look like without her hat on, but I didn't really imagine what she does look like. Stacy, your words always, always, ALWAYS touch me so deeply. You're able to express how I feel through your words and it just amazes me that I'm really not alone in this grief journey. Thank you for always pouring your heart out on your blog. I'll be praying for you as Rachel's diagnosis day and the day of her race approaches. Thank you for that post. I could have written almost all of it myself. It's like I am reading my own thoughts, except that my son hasn't been born yet. I am 38 weeks and 2 days pregnanct with my first son, Peter, who has anencephaly. Sometime in the next few weeks we will be burying his precious body. My daughters will be saying hello and goodbye to their brother. I am scared for labor. Praying he stays put. But I know that I'll never feel ready to say goodbye so really, I'm only praying to delay the inevitable. But like you, I feel so blessed to know him. I can't say I'm thankful for the pain and grief, but I'm thankful for my son, for the brief time we have together, for the lessons he's taught me, for the imprint he's leaving on the world. Thank you for letting us see the beautiful picture of Rachel. What a sweetie!Thank you for sharing your honest struggle through this journey God laid before you. Stacy - Thank you for sharing. I am 37 weeks pregnant with our own angel and as our day to meet her gets closer, I have to tell you how comforting I found your words about Rachel. Thank you. I'm just glancing back through these comments and saw that you are not far out from meeting your little one. I'm praying for you tonight and if you would like to connect, message me on Facebook and I can send you my email. Thank you so much for sharing this... I just found out 2 days ago, on my birthday that my child is a anecephaly baby...not exactly the easiest news to hear. Your daughter is beautiful.My doctor suggested that I terminate the pregnacy...I just still dont know what to think. God bless you and your family and your angel. Thanks for sharing your story. I was looking back thru older comments and saw this and I'm wondering how you are doing? I thought that I already had posted when I read this last year...anyway..I guess I hadn't. Thank you for sharing Rachel..she is adorable!!! While it may be a shock for some people (like myself), it was who she was, who she looked like (and no, I don;t mean this defines her):) I hope this makes sense...I am so glad you shared your girl!! thank you so much for sharing this. I also found out at my 19 week anatomy scan that my beautiful baby girl Charley Ruth has anencephaly. like you it was heartbreaking... I turned to God instantly & am still praying everyday! I was so hurt to hear that the survival rate for this condition is 0%. all I know to do is rely on God during this trying time. and although my baby girl may not be perfect in the worlds eyes. she is perfect to me! I have chosen to continue my pregnancy and hope for the best. God bless you for the blog that you have created, the pictures and videos that you have shared. A friend recently gave birth to her 2nd baby, a little girl, that was diagnosed with anecephaly during an ultra sound. Her and her husband chose to carry her to term. She too has had a memorial service for her and has started an outreach. This is her post today. I was trying to learn more when I came across your blog. We have 3 grandsons in heaven that were stillborn and I am so thankful for the pictures that we took and the memories that we have. We have an awesome God who is there for us every step of the way. Your Rachel is beautiful!!!! Thank you so much for your bravery. I know this is an old post, but I'm glad I came across it. I always say that no one ever needs to be ashamed of something that isn't a sin and isn't their fault. Birth defects like this are nothing to be ashamed of; they just make our children who they are. I love my Ava. No "despite" and no "because." I just love her. I love her perfect nose. I love her seven toes. I love her malformed arm, her nonexistent ears and her dark hair. I love everything that makes her Ava. And you love everything that makes Rachel Rachel. Even if those things caused our separation. They are beautiful. I'm so sorry to hear this - and I remember those days so clearly. Tomorrow is 3 years since I first got my daughter's diagnosis. The only thing I can say is that I am so glad I have no regrets and that I got to hold my girl as close to whole as she would be here on this earth. I needed that time with her. I would encourage your daughter to do the same. There is a great site you can look at that has lots of stories and photos to look at. It's http://www.anencephalie-info.org. there is a link on the side of my blog along with some links on how to best support your daughter too. Praying for your heart tonight as I can imagine it is broken. I to am recently carrying an infant to full term with anecephaly. Is so hard for me I sit up crying all night looking at her 3d ultrasound photos. Is so hard to feel her movin inside me all the time. And the one person who was supposed to be their for me is not. He blames me telling me is my fault because I could not take the vitamins like I needed to. But I know is not my fault. I dred the due date which is December 8th because I know she is going to pass away and I will never see her again. But I cant wait to hold her in my arms at least I will have that to remember. To me she is the most precious gift god could give me. a guardian angel named Cielo. I to am carrying a baby with anecephaly. I was heart broken when they told me she has no chance of survival. I remember I kept asking them if the were sure is nothing they could do. My due date is December 8th. As the date comes closer I can feel the stress building up. I keep havin nightmares of what it could be like to watch my child slip away. Its something no parent wants to have to do bury their child. My worst nightmare come true. but I also know that I will get to have the joy of spending a little bit of preciouse moments with her. To me she is gods most preciouse gift. A little guardian angel, and that one day I will get to see her again. I love her name... I have a friend whose daughter is named Cielo - she named her last baby Rachel... I'm so sorry to hear that she has anencephaly. I know how hard it is - I'm sorry you don't have the support you need. My heart breaks for you. Just so you know, I had my folic acid tested right after I got Rachel's diagnosis... I had been taking prenatals so I wanted to see if my folic acid was really deficient. It wasn't. It tested normal. So I really do not believe that our babies would have been saved if we were on the right vitamins... Please don't blame yourself. It looks like our girls will have birthdays near each other... please email me if you would like to talk. I am willing to answer any questions you have at all. my email is rachelsmama@ymail.com I will be praying for your nightmares and for your heart as you walk this hard road. This time of year is always hard for me as I approach Rachel's birthday too - she would have been 3 on December 3rd. I miss her like crazy, but she was so worth every ounce of pain. Your daughter was very beautiful, anencephaly or not. I can imagine her with bright blue eyes, and a loving, caring nature. I wish you all the best with your races in remembrance of Rachel, and I wish you and your family all love and grace until the day of Christ's return. Rachel will be waiting for you in Heaven...and that is a glorious comfort. 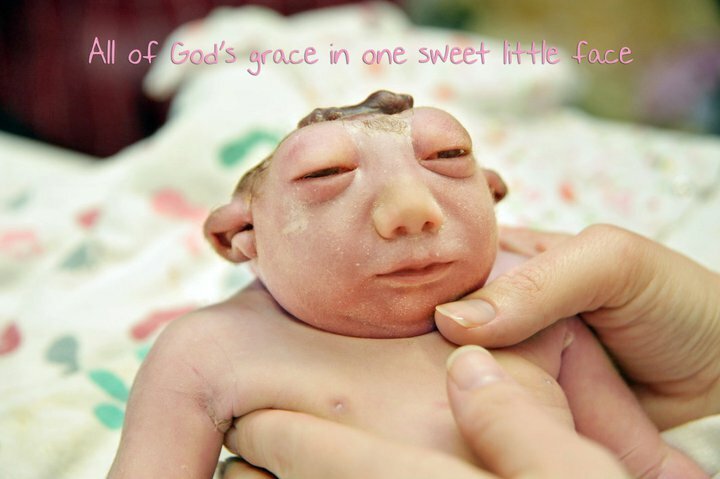 Rachel was a beautiful little girl, Anencephaly or not. I can picture her with big blue eyes, an easy smile, and a calm, sweet nature. It's a comfort to know she's waiting for you in Heaven, and that you'll all be reunited on the day of Christ's return. God bless you and the work you're doing with the race - I wish you all the best. I stumbled upon your blog from a Life Site report today. I am heartbroken at what you & your family have had to endure...but so touched by your raw honesty in your blog. Thanks for sharing with us. Life. Life when things are not as they seem. Seeing your daughter's beauty even in the 'diagnosis'. 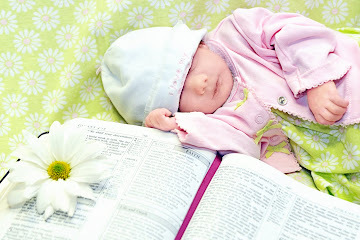 She is absolutely precious & I know our Lord Jesus is holding her. What a beautiful story...thank you so much for sharing. You touched my heart when you described the deep well of love that you have for your sweet Rachel. 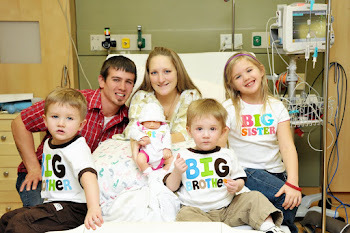 I lost three babies in the second trimester and thankfully was able to deliver them and hold and name them. Although they looked small and underdeveloped they are MY babies and I adore each one of them. Like you, I too anticipate the day that I am joined with them and their perfect bodies to be their mother for the eternities. Your Rachel is an angel and that is as easy to see as the nose on my face. You and your husband are strong valiant servants of God raising your children with such love and kindness. Thank you so much for sharing this story of love! I had my own "baby Rachel " my Rachel had hydrocephalus.it was so severe that her brain was crushed and as a result would not survive outside of my womb.Rachel Marie was born alive and lived for 38 days. she was blind and deaf, she could not move nor make a sound. Her life was so short yet she touched more people in her short time here on earth than most of us will in a lifetime. The Dr 's encouraged an abortion, but that was simply not an option. As my mother put it, "we do not get rid of a baby simply because it is not perfect in the eyes of society " Rachel was our precious moment and hardly a day goes by without thinking of her. I know she is safe in the arms of Jesus and we will see her again. Thank you for sharing your story, and allowing me the privilege of seeing your beautiful baby Rachel. I too had a "baby Rachel " she was born with hydrocephalus. It was so severe that her brain was crushed. We were encouraged by Dr 's to abort her, but that was never an option for us. As my mother put it "we do not get rid of a baby just because it is not viewed as normal by society ". Rachel was born alive and lived for 38 days. She was blind and deaf, norwas she able to move or make any sounds, yet Rachel Marie touched more lives in her brief life than most of us will in our lifetimes. She was our precious moment. I know she is safe in the arms of Jesus and I will see her again. Thank you for sharing your story and allowing me the privilege of seeing your beautiful baby Rachel. When I see the photo of your daughter without her hat, I see your daughter, a precious child, a sweet baby with a soul. I'm so glad you gave her the gift of your love and of the fleeting but eternally precious time she had with her family, within your womb and outside it. Thanks so much for sharing her with us. I am a new Mother/Baby nurse, and we will be having a child born like yours in the coming days/weeks. We have a plan in place and I have no qualms about telling you that, even though I know there is a plan on the unit and many qualified nurses, that I myself will most likely be an onlooker and gopher, that this frightens me to my core, to be responsible in some way, ever, for a family that has had to endure the pregnancy knowing the outcome, the labor, knowing their child will live only a short time, if at all, and that it will impact me forever. I feel amazed, honored, and nauseous with fear that I will handle it somehow in a way that might not bring comfort or healing to the situation. I pray to my Sovereign Lord that I will handle it with grace and be a rock of comfort and compassion to a family that will certainly be reeling, despite knowing beforehand. Thank you for sharing this. You have given me a gift, and I hope to take that forward to this family and bless them with your love. God bless you as you celebrate her life and legacy. Rachel is so beautiful. Truly. Two of my siblings died very early in pregnancy, and we never got to see their faces. But they were here and will always be my family. I absolutely can't wait to meet them. They are in Jesus's hand. Rachel is so beautiful. Truly. Two of my siblings died very early in pregnancy, and we never got to see their faces. But they are people, they were here, and they will always be my family. I absolutely can't wait to meet them. They are in Jesus's hands now. A sweet girl, a lovely story. Back in the "dark ages" my 2nd born arrived anencephalic. Totally unexpected, this was way before prenatal tests. This little boy lived 27 hours, I was kept drugged and not allowed to see him, but my husband did. He strongly resembled our firstborn, a handsome, sturdy boy. We chose to adopt- a girl. It took 37 years to visibly see my little lost son, and his spirit/soul arrived in the son of our adopted daughter. There is absolutely no biological relationship between my first born and the adopted grandson, but the resemblance is striking in photos when my first born and the grandson both were 1 year to about 2 years. This told me my sweet boy needed to soar to the heavens, and in doing so,allowed the adopted child to come into our lives. The gift back was a brief glance of "the baby" for a brief time. Destiny played out as it was meant to. I understood. There is still one question I will never find the answer to while I'm on earth-why did he die on my birthday. I have never celebrated since. I can't. A sweet baby, a lovely story. Back in the "dark ages" my 2nd born arrived anencephalic, with no advance knowledge. He lived 27 hours. I was kept drugged and not allowed to see him, but my husband did. This little one resembled our older boy. We chose to adopt- a girl. It took 37 years to actually see what I have believed for such a long time. My little lost one's spirit needed to soar to the heavens, allowing the little girl to come to us. Through her, something of my boy returned, telling me that destiny played out as it was supposed to, when her son was born. There is no biological connection between her son and my first boy, yet in photos between the ages of 1 to just past 2, they look so much alike to be brothers. I got a brief glance, it was priceless. I look forward to finally being able to know his spirit when I leave this earth. What I have never understood, is why he had to die on my birthday. I have never celebrated it since-it became a day of reflection, not celebration. I am so glad I came upon your blog. My sis-in-law/bro-in-law have just received the diagnosis of anencephaly at their second trimester ultrasound. Please pray for them. It is so beautiful how you all have beautiful smiles on Rachel's birthday, not a tear to be seen. God Bless you all. Thank you so much for sharing your story. I was reading about the anencephaly cases in the Pacific Northwest and Googled to get more info, and found your story about Rachel. Your perspective and writing are beautiful, and your baby girl is beautiful as well. I have learned a lot this evening by reading Rachel's story. I hope my comment came through-- I can't tell. What I tried to write was, thank you so much for sharing Rachel's story. Your perspective and writing are beautiful, and your baby girl is beautiful as well. Thank you for sharing your experience-- I have learned a lot from reading this beautiful post. I was searching the stories of how mothers have overcame the emotions that were cause by anencephaly. During my 20th week U.S I found out that my baby is a little girl and that everything was ok. Later that night I got a call and the genetics counselor and she told me that i have a high risk pregnancy because my baby is not only transverse but she also has anencephaly. The drs were and still are trying to convince me to terminate my pregnancy. I am 19 yrs old and may not know much but i do know that i dont have the right to take a life when God had mercy over me. Even though many people and drs as well see these precious babies as a "thing" instead of angels, they are PERFECT in God's eyes and he has made me see every human being perfect as well. I trust no man other than the Lord and I know that he will give me strength to overcome all challenges. God never gives us challenges we cannot overcome. Much love to all women going through the same situation, you and your precious babies are always in my prayers. I came across several Memorial videos starting with a woman who's pictures of her baby were removed from Facebook. I DO NOT understand this! I don't have children, but there is nothing in any of these pictures or videos except the miracle of love that we have been given. If you chose not to share the photos because it's too painful, I understand. But if you don't chose to share beautiful photos of your daughter because of other people's ignorance, I urge you to make another choice. She is precious, just like every other little angel I have seen. You are allowed to be proud like every other parent without holding back! Don't let anyone else tell you different. I was moved by your story and if given the chance, will share it with someone in a position of choosing. I want you to know, she was and is a beautiful little soul. I had to take a second look at the picture to see what was "missing". Without telling my husband the story, I showed him the picture and his response was "aww!". He too did not see a defect. Instead, we simply saw a precious child of God. Bless you, for being strong enough to share your story. My heart goes out to you. Thank you for sharing your precious Rachel with me. She is beautifully made by our Creator. I read this story because my dear friend just found out that her baby has anecephaly. I know how much I loved my little boy before he entered the world and can't begin to imagine how painful this journey is for you and your family. Rachel is so beautiful. I'm sure Jesus allowed her to feel your love during her short life. Thank you so much for sharing your story, as painful as it must be. Her life and others facing anecephaly are so worth the fight. I think baby Rachel is absolutely beautiful and not the least bit "yucky" at all. Before I became a mother I might have felt differently, but now I understand the unconditional love that parents have for their children. I have felt the sheer terror and breath that gets stolen away anytime you even think about something harmful happening to them. I can't imagine how it would feel if it was a reality. l am so sorry that she can't be with you in body, only in spirit. I know nothing I can say or anybody can say will ever take away the hole you have in your heart. But know that I'm supporting and praying for you and your family even though you don't know me. Keep your head up mama. Thank you for sharing your beautiful story. Rachel is a blessing and she is precious. I say "is" because she is with God. Healthy, happy and still beautiful. You will see her again. My friend is expecting twin daughters in 3 months. One of them has anecephaly. She is in the hospital for the remainder of her pregnancy. "She was worth every ounce of pain." Exactly. A child who receives a terminal diagnosis in the womb still deserves a family who will fight for her, love her and mourn her as much as any child who dies. A short life makes every minute more precious, not less. She is beautiful. God's perfect angel. I read the majority of this article and even if I don't believe in God, because if he was real would he really want His children like Rachel to suffer like that? Back to the point, I recently discovered about anencephaly and was extremely interested in this medical condition however it was hard to look at pictures and imagine the heartbreak for them and their families. Therefore, I stumbled upon your website and was engrossed with your story, and I just really wanted to say I support every word of yours whole-heartedly, and even if I'm still a teenager who still hasn't experienced close deaths or bore any children, this alone still moves me so I thank you for sharing your personal story Megan and may Rachel's memory always remain in our hearts. Rachel is beautiful. You are both angels. I am currently studying to become a nurse and hope to work in the NICU one day. As I was sitting here reading my medical terminology book, I came across the term, "anencephaly," which was followed by a description that sounded too sad to be true. I thought, if I'm going to work in the NICU someday, I better read more about this and see some pictures to get an idea of what anencephaly is. I read a few articles, mostly containing definitions, pros and cons of aborting vs. carrying full term, and then I came across your blog. Your words drew me into your experience, and with each paragraph I felt I was sharing somewhat in your journey, crying, smiling (especially at Rachel's picture), and remember how important faith and God are. Thank you for your courage in giving Rachel life, and for writing and sharing your story. Rachel is a blessing to so many. Now I can have a better understanding and more empathy if I meet a baby like Rachel, whether someday my own or someone else's. Thank you and God Bless you and your family. Thank you for sharing your story and for loving your precious child until God called her home. When I watched the real time ultrasound of her little legs kicking, I thought "that child is dancing with joy." She lived a full life from the time of conception, until going directly from her family's loving arms to the Heavenly Father's embrace. God bless you and yours and may He fill you with the peace that passes all understanding. I was with my daughter today when we were told its anencephly. It is so hard to see your babies heart brake. I don't know how to comfort her. I pray for God to comfort her. I was so touched by your article. Thank you for sharing your emotions . It will help me understand what she will be going through. Thank you for sharing this heart touching blog with the world. I was doing a search on anencephaly for a school assignment and I came across it. I am so deeply moved that I have cried a river and felt your pain even though I know in reality it does not compare. I'm a mom and my children are healthy. I recall the anxiety of every ultrasound appointment and can't even imagine how devastating a diagnosis such as this could have been. I am not ignorant to the fact that just because they were born healthy, they will always be that way. I can only pray to God that they will always continue to be healthy but as you stated in your blog, our suffering is not his plan. I agree with you 100 percent. I am deeply sorry for your pain but I am also at pleased that you have found and developed a deeper relationship with God. My prayers go out to you and your beautiful family that includes "BEAUTIFUL" Rachel. May you all always remain with the presence of God around you consistently providing you with immense strength and love. Thank you so much for sharing your story with the world. Your daughter is such a beautiful little girl and it truly warmed my heart to read this as I am now experiencing the pain you have experienced. My husband and I just recently found out that our little girl has anencephaly and it has been devastating. We were also offered abortion and told that we have limited time to decide since I am 22 weeks along now. We could never do this to our precious daughter. We want nothing more than time with our angel even if it is for a short time. Reading your story has brought me to tears and has also brought warmth to my heart. Your love for your daughter is truly amazing and I feel that for our sweet baby as well. Thank you. blessings to you and your beautiful girl in heaven. Every heartache comes with strength and YOU are so strong. This is beautiful. God bless you!! I understand what you are saying, but you missed my point. I meant that sin (as in when it entered the world in the garden and caused sickness and death - that didn't previously exist - to also enter the world) caused the fact that it happens at all, not that God was punishing me. I have NEVER felt like He was punishing me for sin with Rachel. I saw her, and even her death, as a beautiful gift, even though painful, in my life. God didn't make NTD's and they will not stop happening completely, no matter how much our human minds can accomplish, until heaven. I hope that nothing I said truly sounded like I felt I was 'victim of God's wrath about sin' because I've never felt that way. Maybe reading more of my blog posts will help.